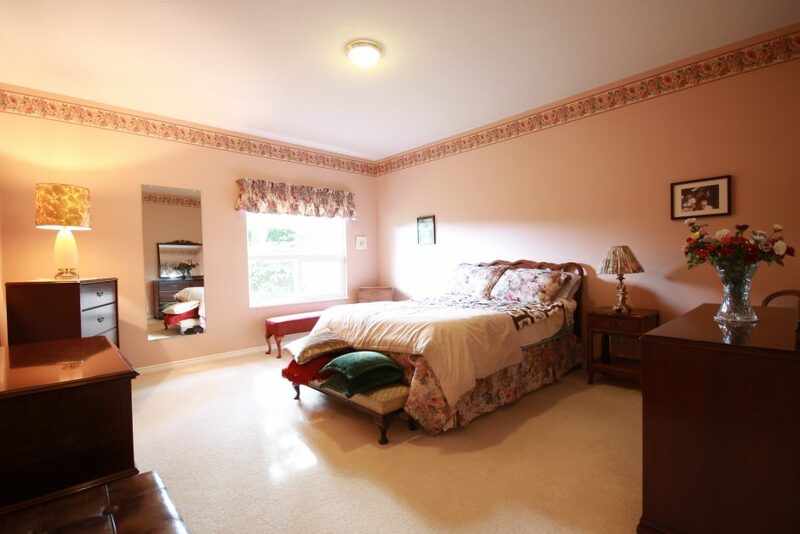 Peace and quiet at Glenwood Estates. 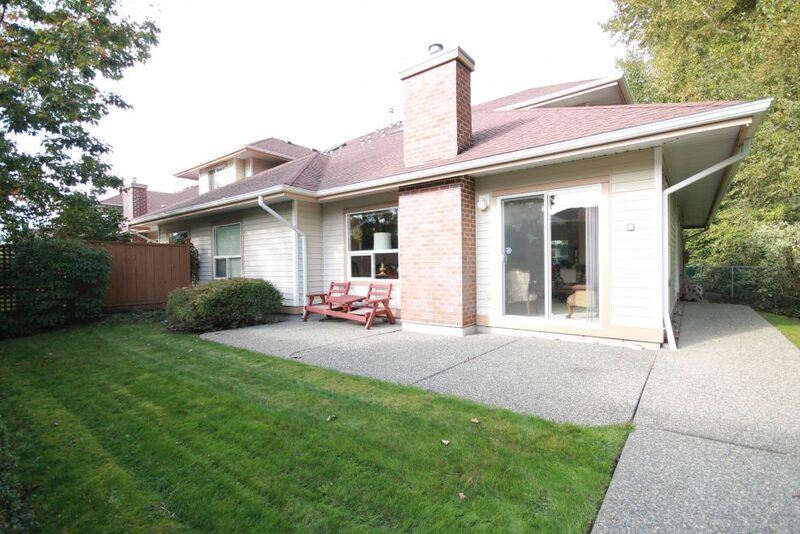 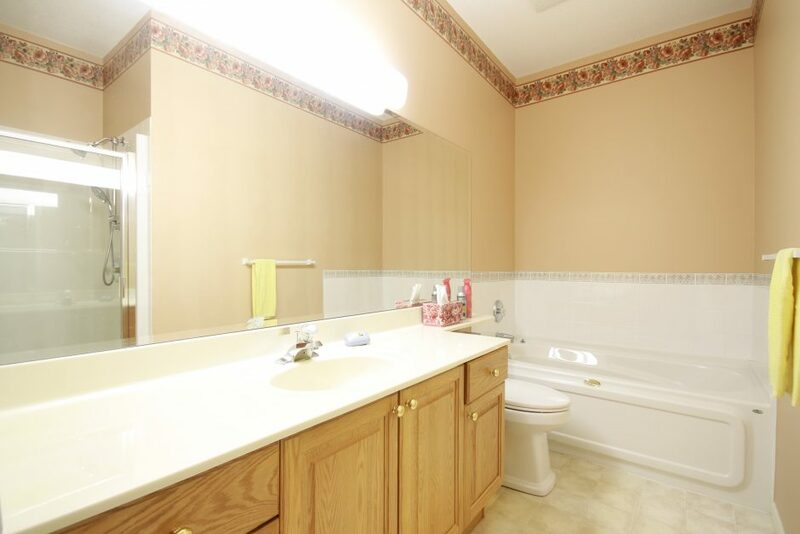 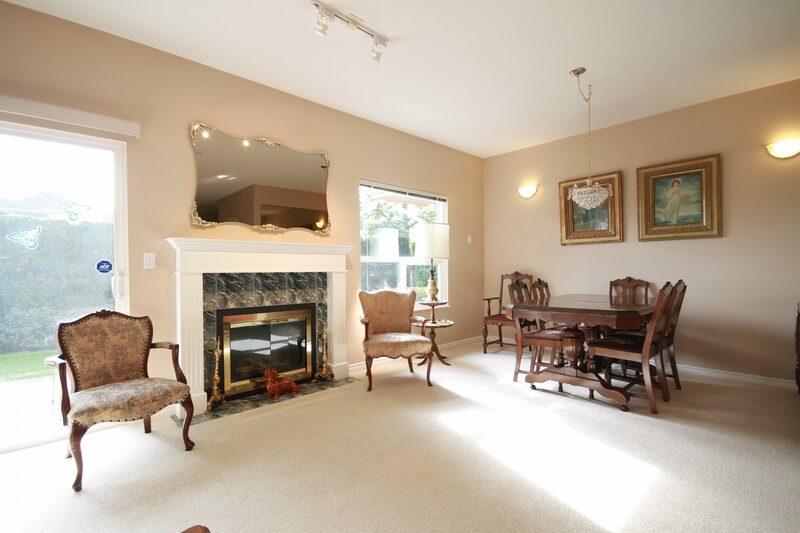 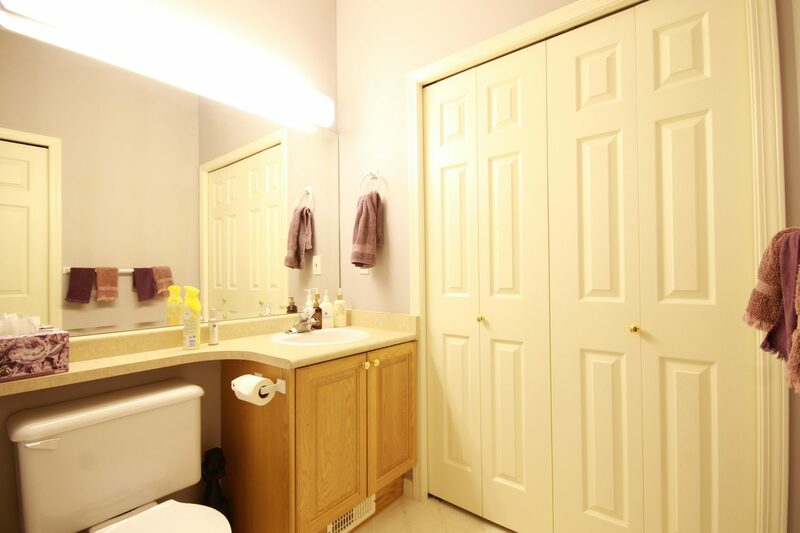 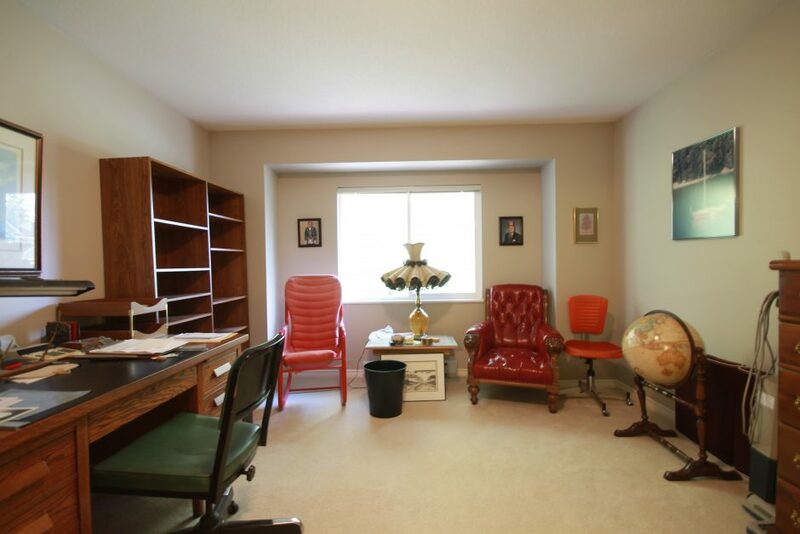 You will find generous room sizes in this 2 bedroom 3 bathroom home. 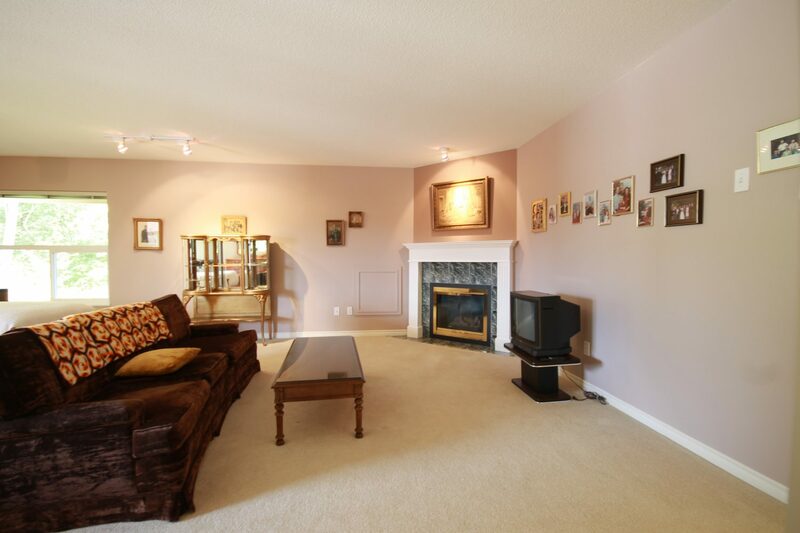 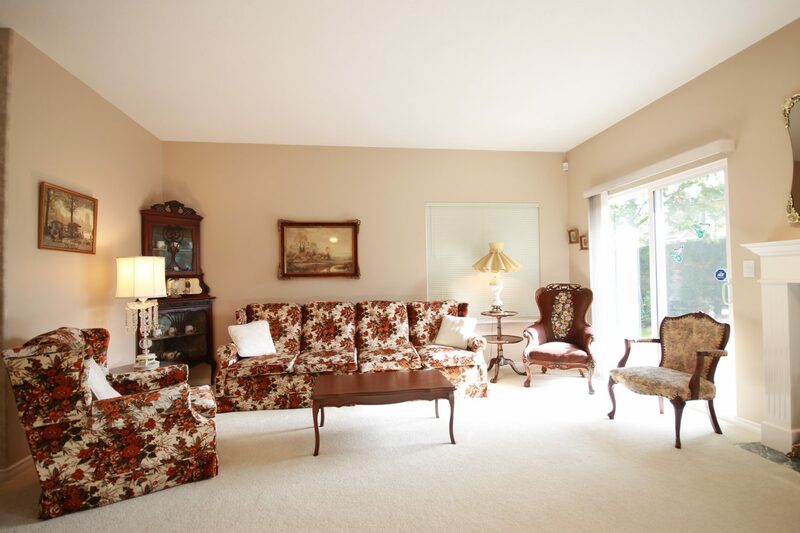 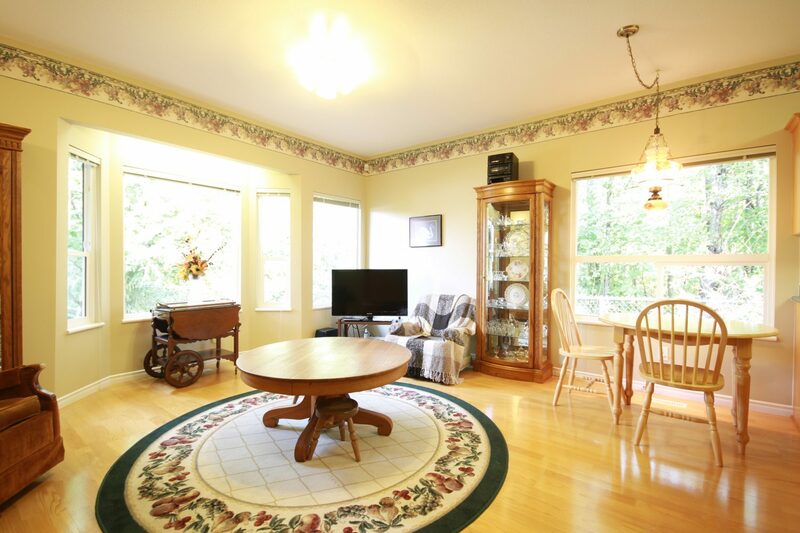 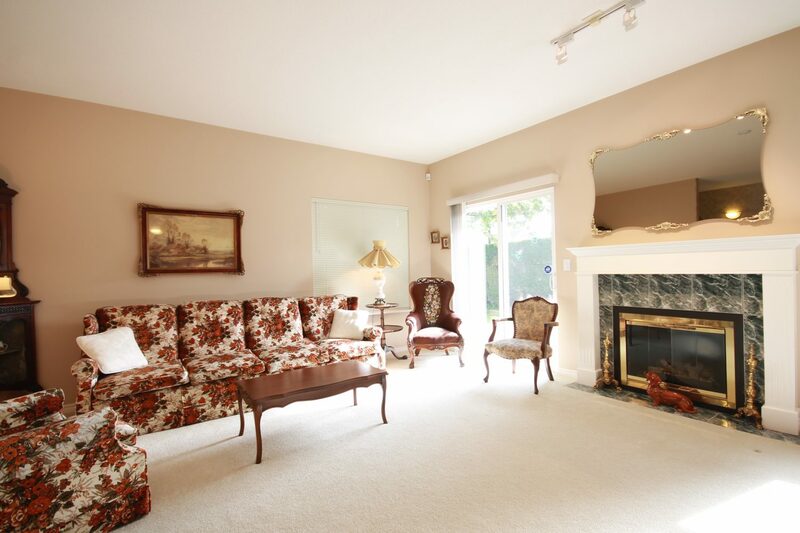 Separate living room and dining room make this a great place to entertain. 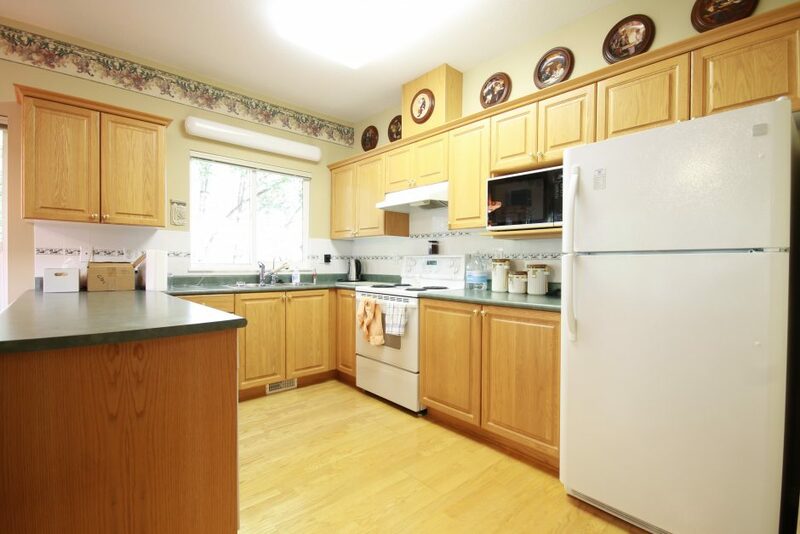 Open concept kitchen has an adjacent family room and eating area. The main floor master bedroom allows the option for 1 level living. 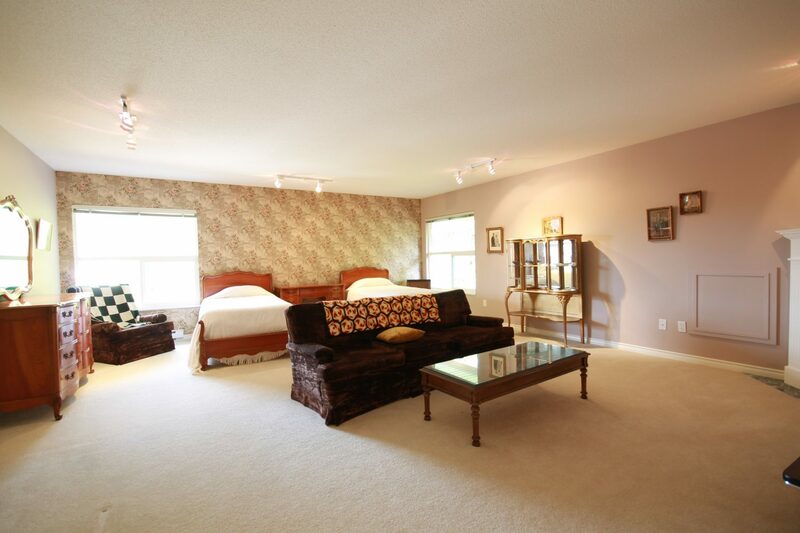 Large master closet, 9′ ceilings and Jacuzzi tub highlight the spacious master suite. Upstairs features a large recreation room, a flexible space with windows, closet and fireplace, could be used as a bedroom. 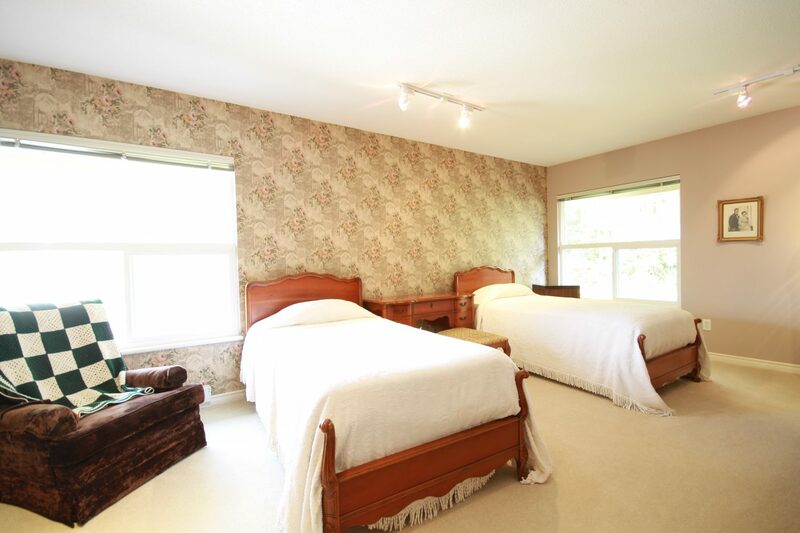 Second bedroom features a full semi-ensuite bathroom. 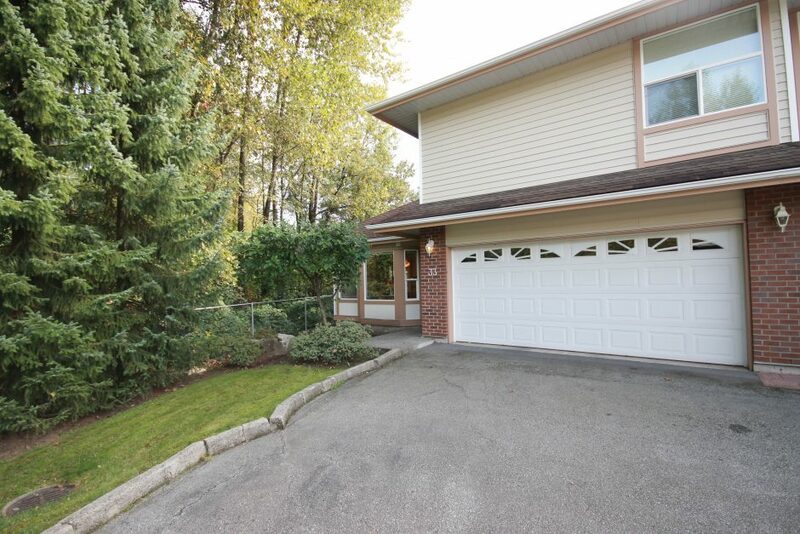 Plenty of storage through out the home plus a 2 car garage. 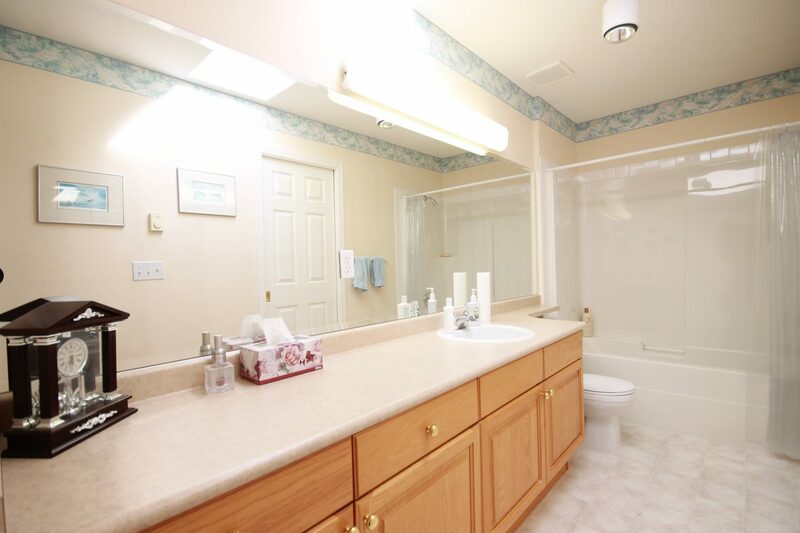 This corner unit is the largest in the complex.